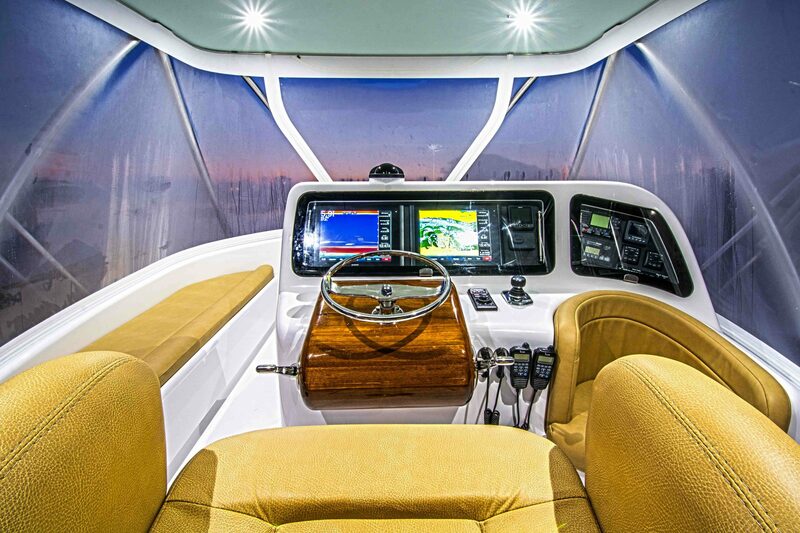 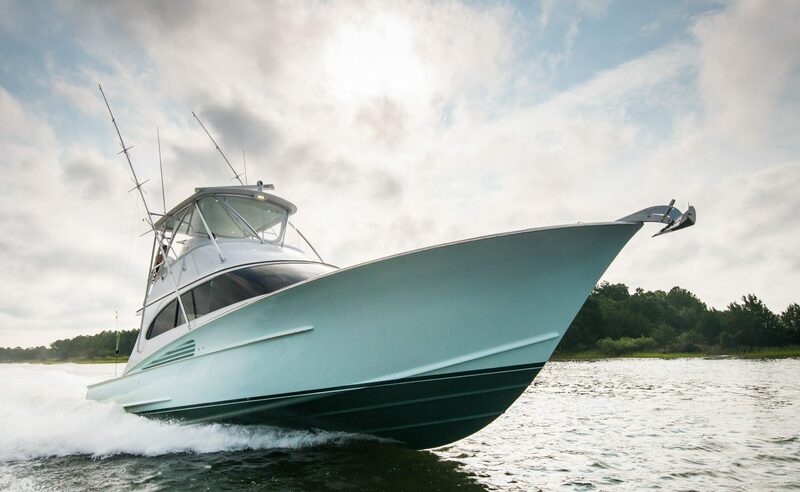 At nearly 45′, Winter Custom Yachts’ Hull W-17 is a convertible boat that outperforms similar crafts of a larger size. 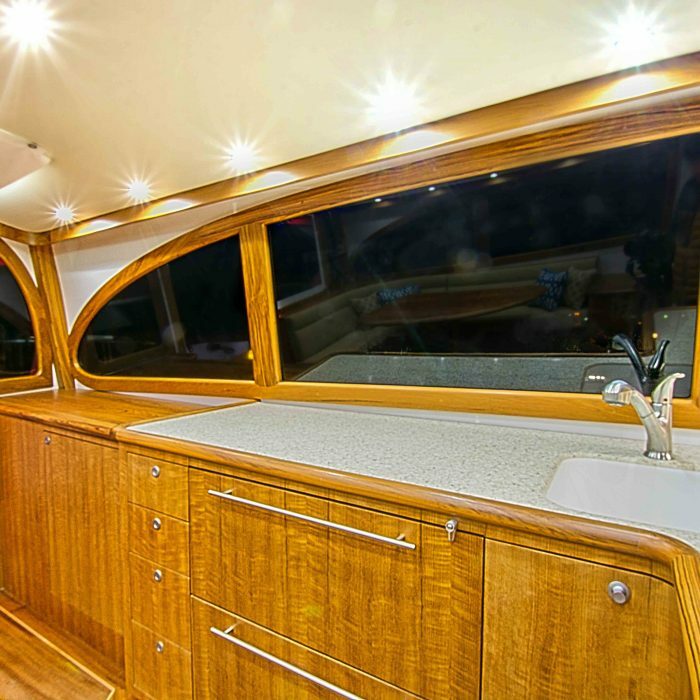 She was built to accommodate owners with a variety of sea-faring interests. 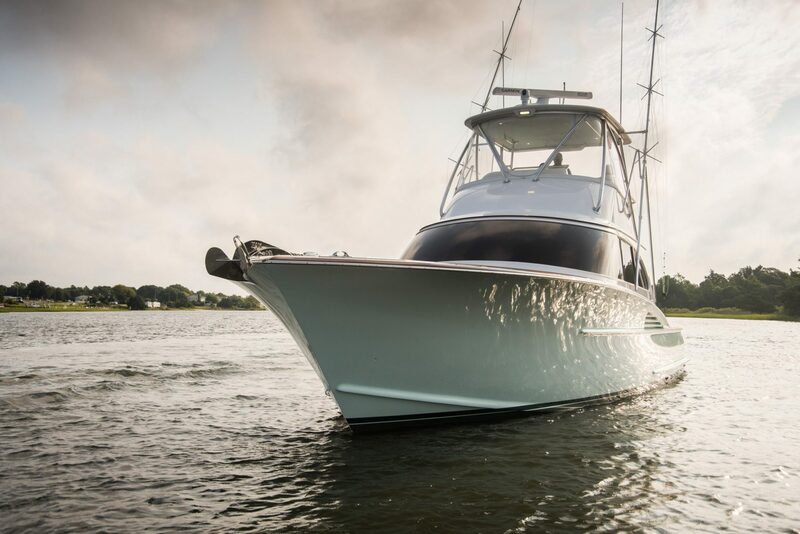 From light-tackle fishing to diving and family cruising, Hull W-17 is a multifunctional craft that delivers on every need. 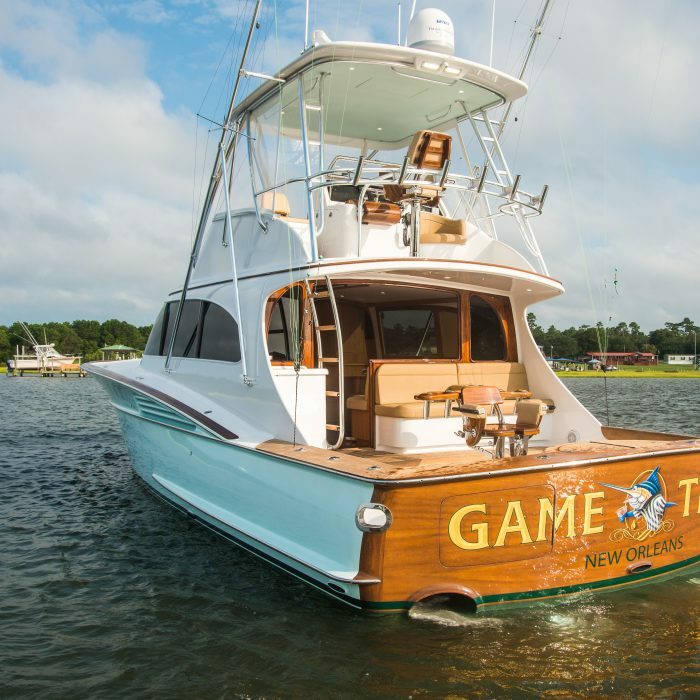 Her styling includes some of the distinct Carolina features that people love with the personalized touches that Winter is known for. 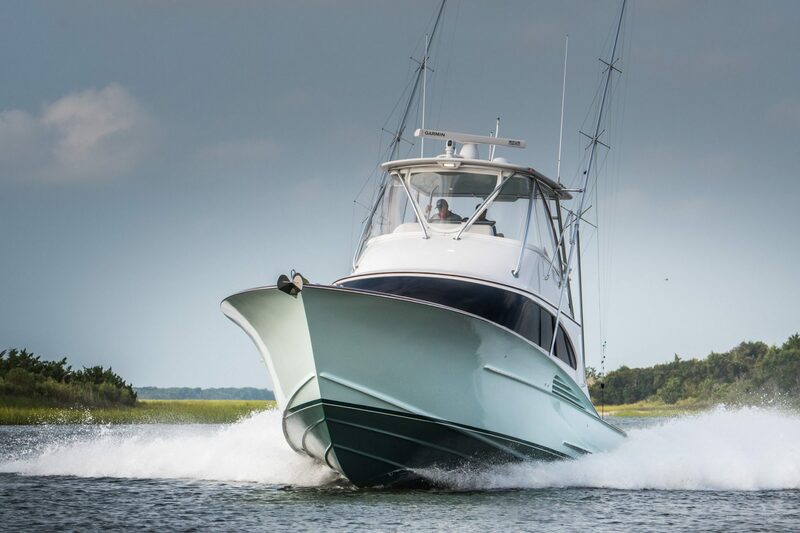 Capable of making trips from Florida to the Bahamas, she also carries a reputation as a prominent fish-raiser. 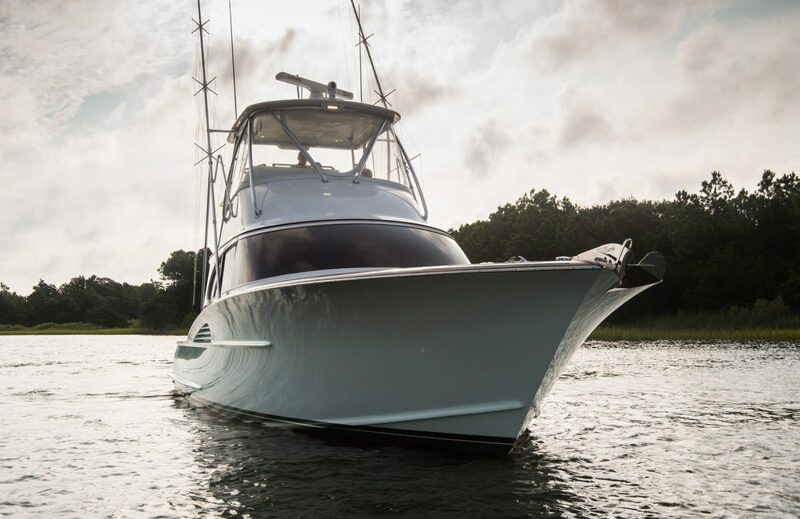 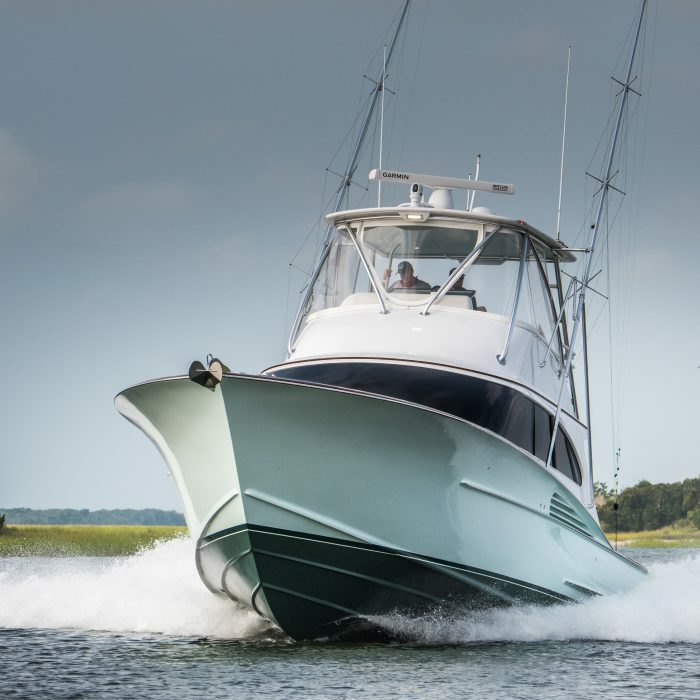 Twin 615 hp Cummins QSC 8.3 engines, paired with Zeus pods, provide excellent power for Hull-17. 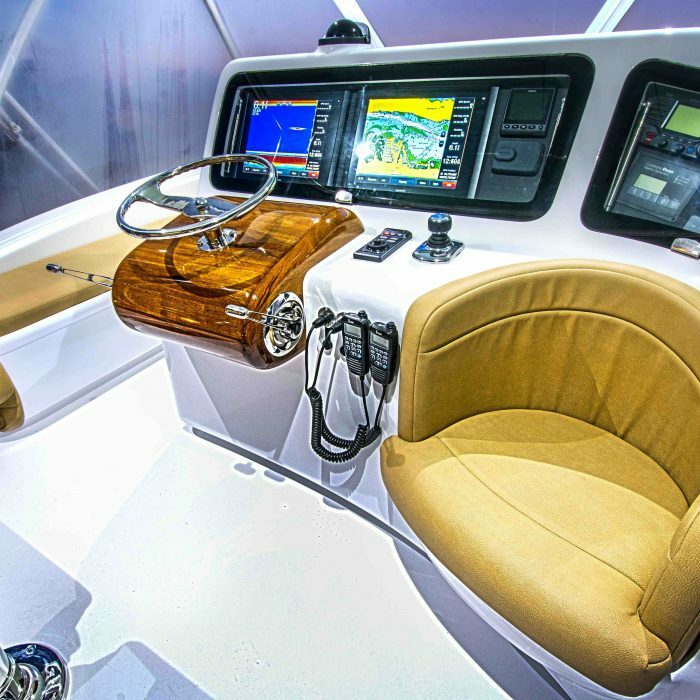 Designed to accelerate to 33 knots at 3,000 rpm, she accelerates and maneuvers with the agility of smaller crafts without sacrificing speed. 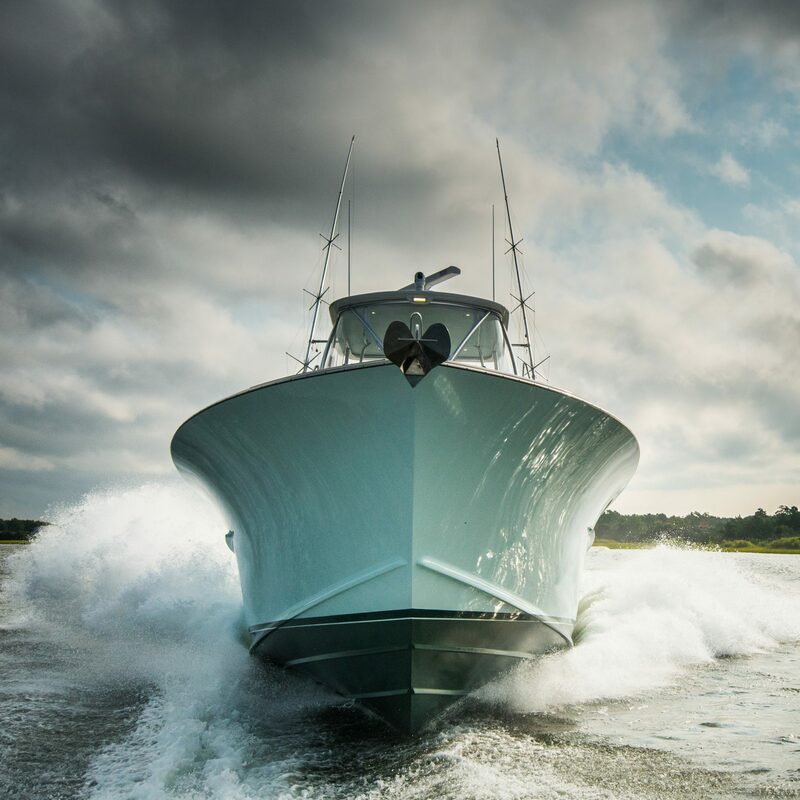 In the engine room, a Seakeeper sits forward on the centerline, providing remarkable stability. 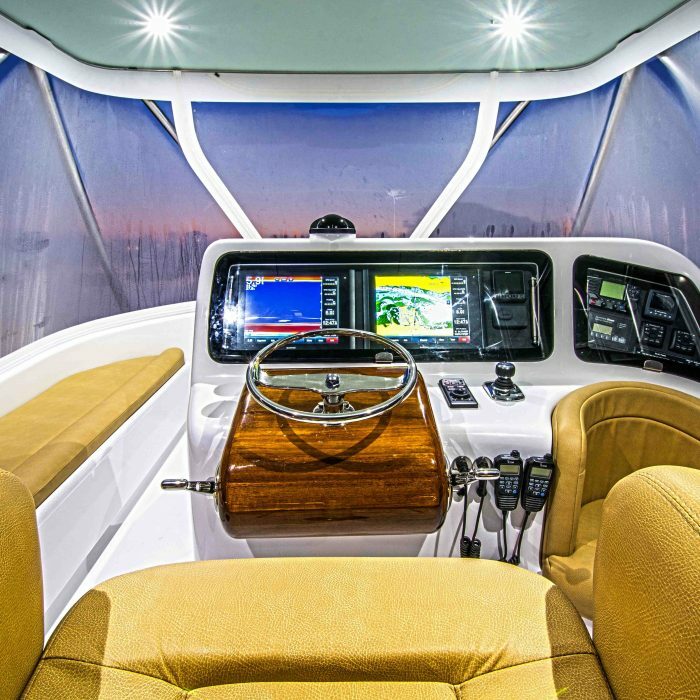 Winter reinforced the stringer system and installed a Soundown noise reduction package in the headliner of the engine room, as well as large suitcase mufflers for the marine exhaust system. 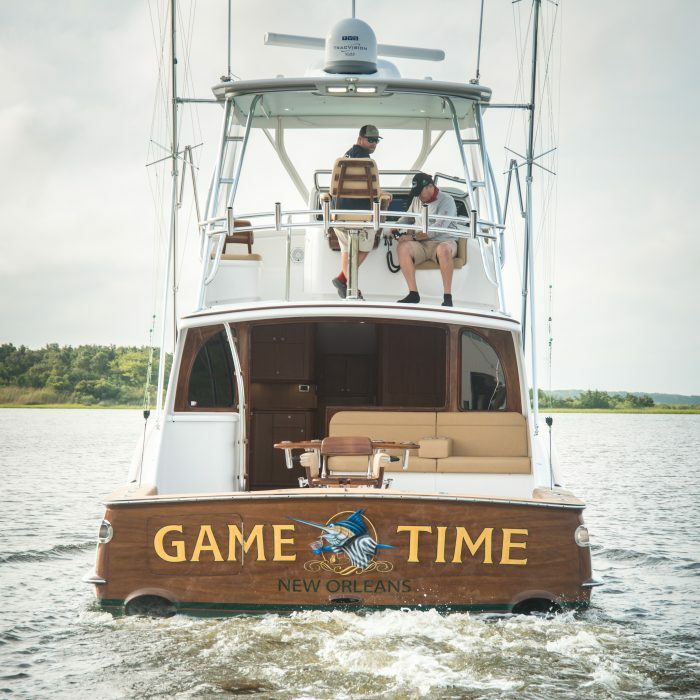 Outside, the bridge features a single Release Marine helm chair with a built-in jump seat. 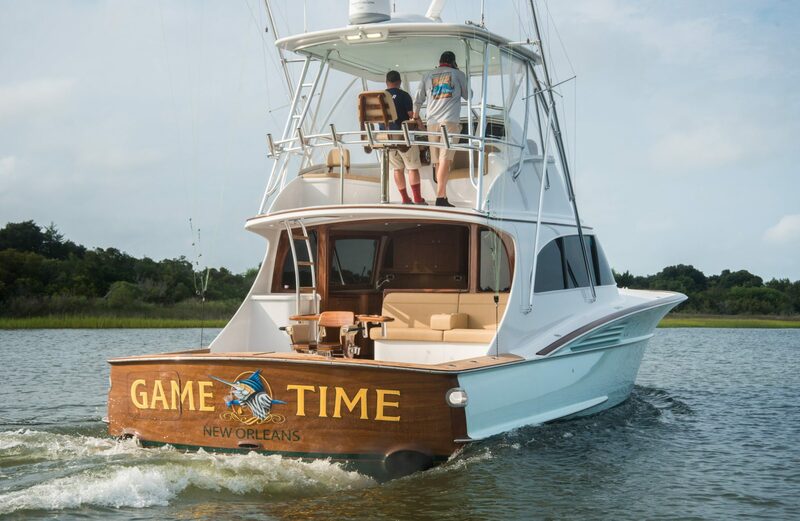 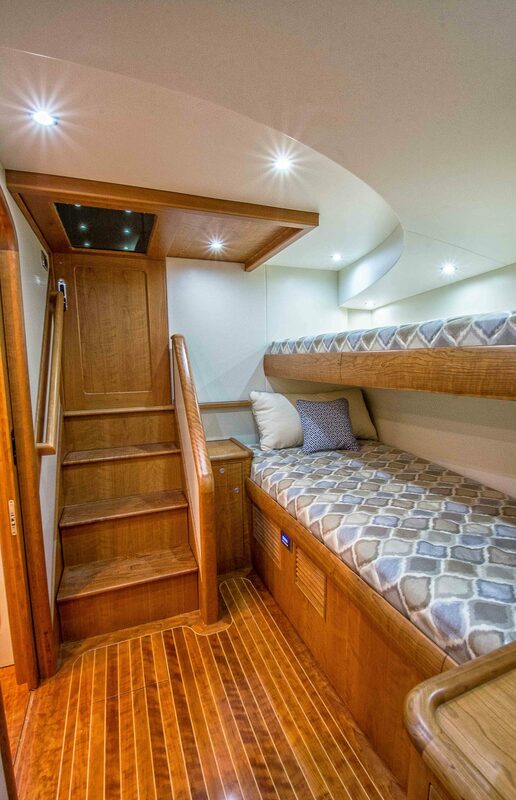 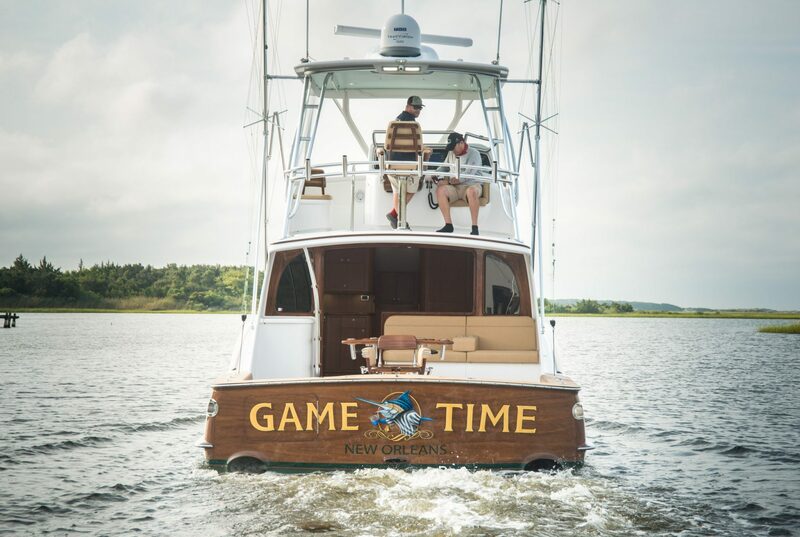 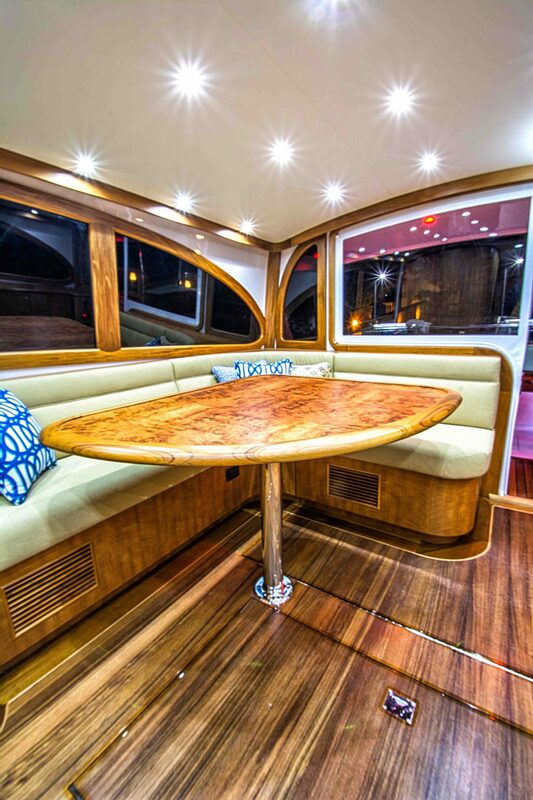 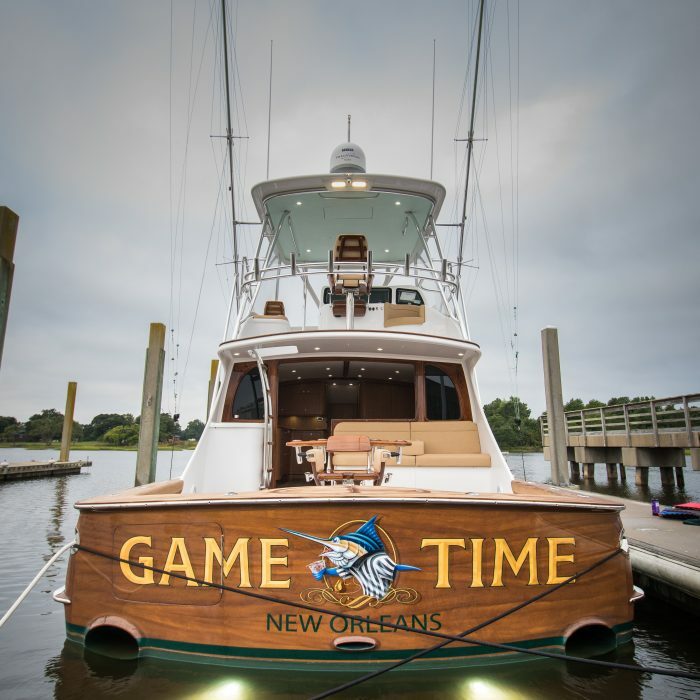 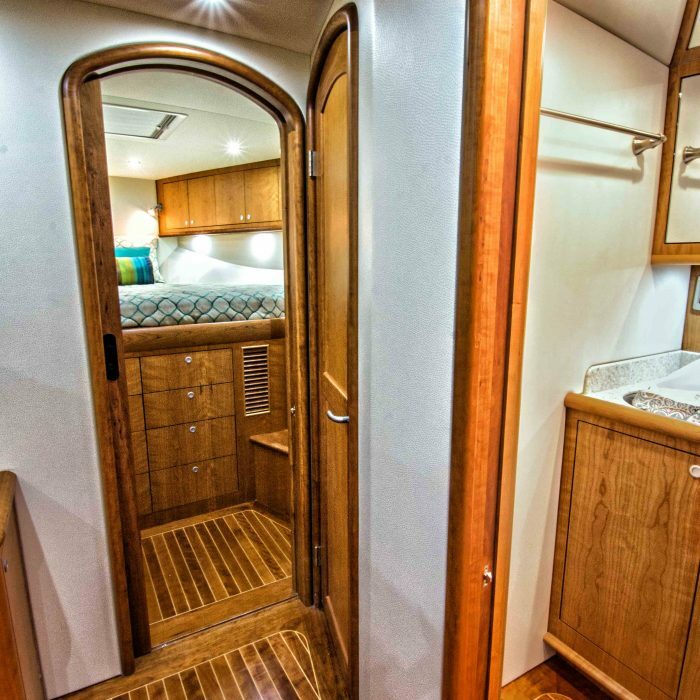 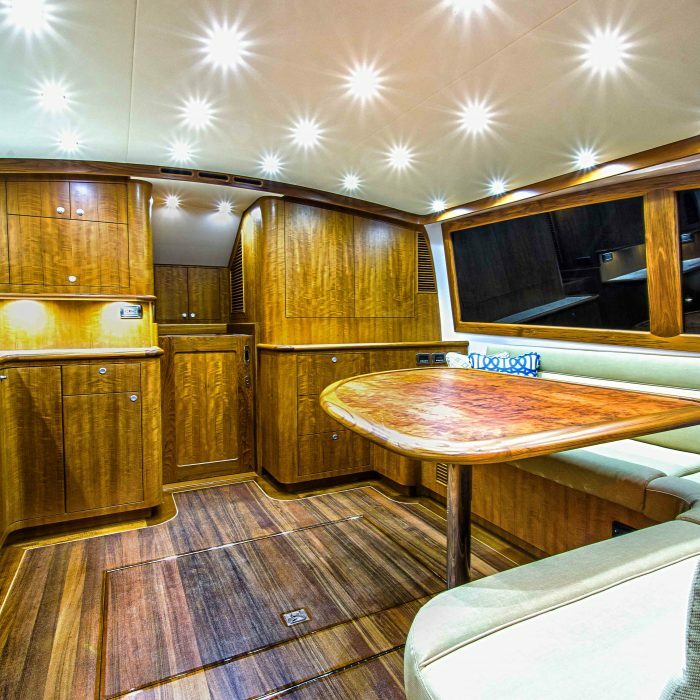 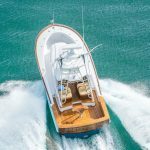 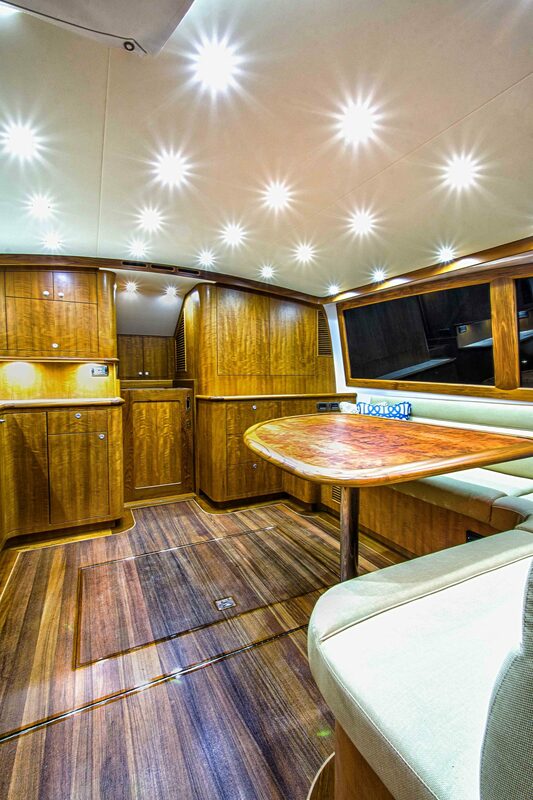 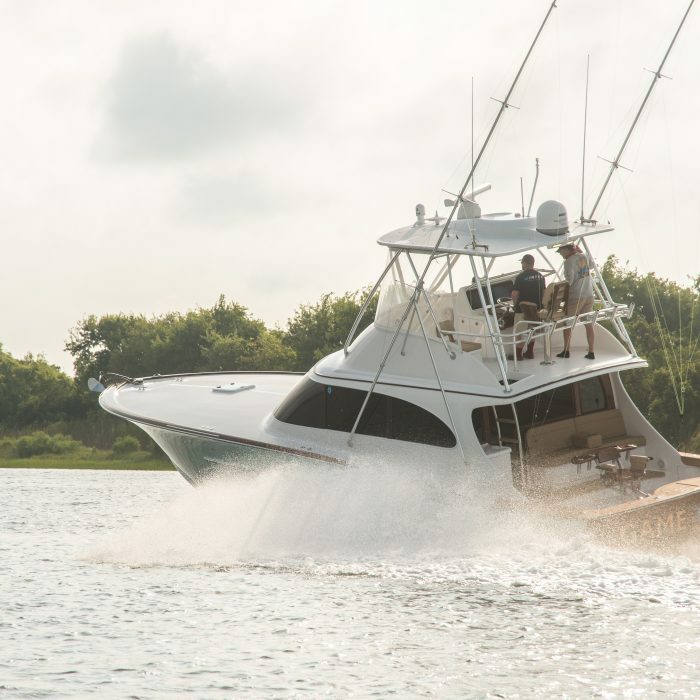 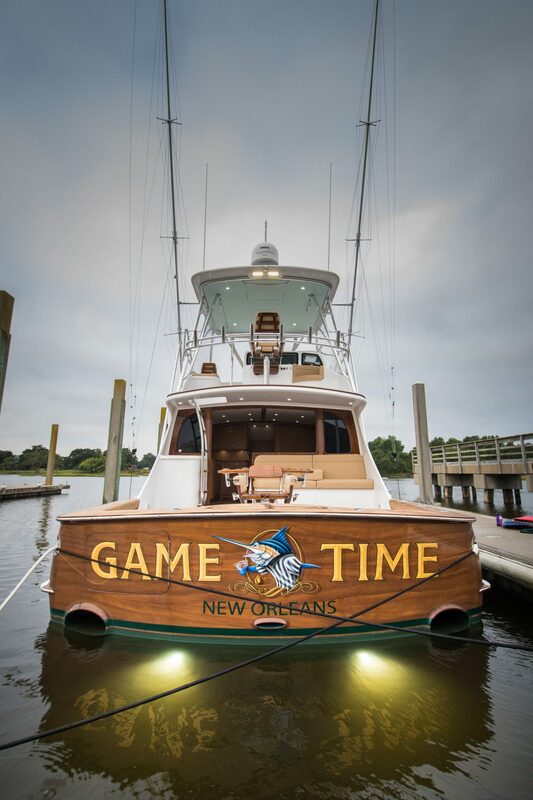 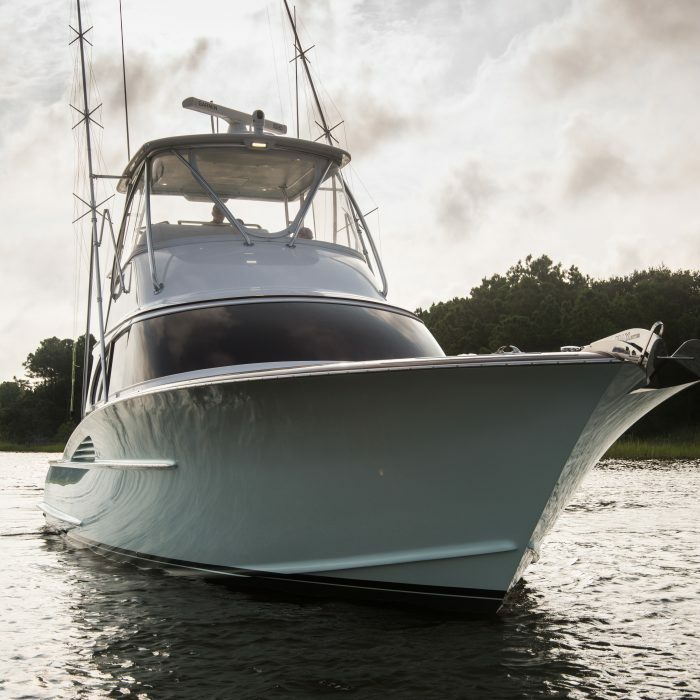 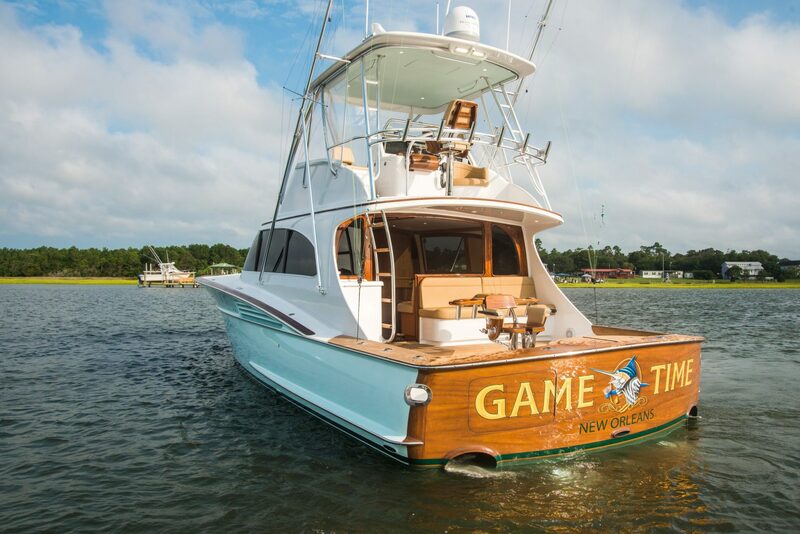 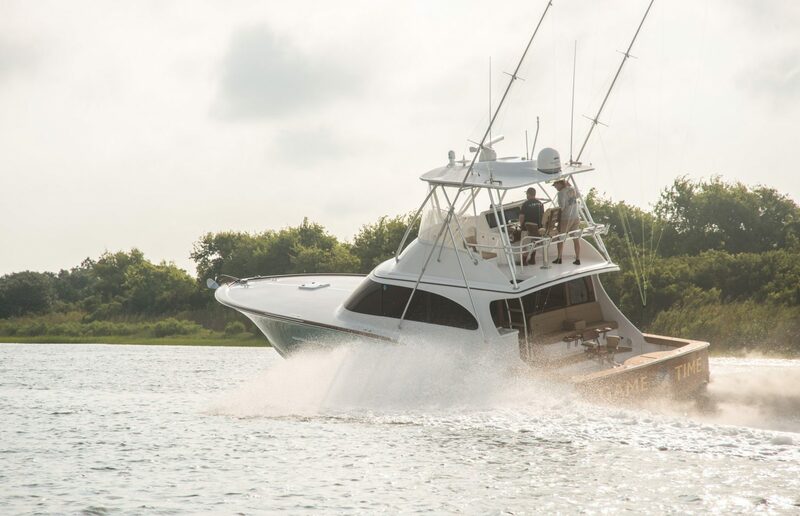 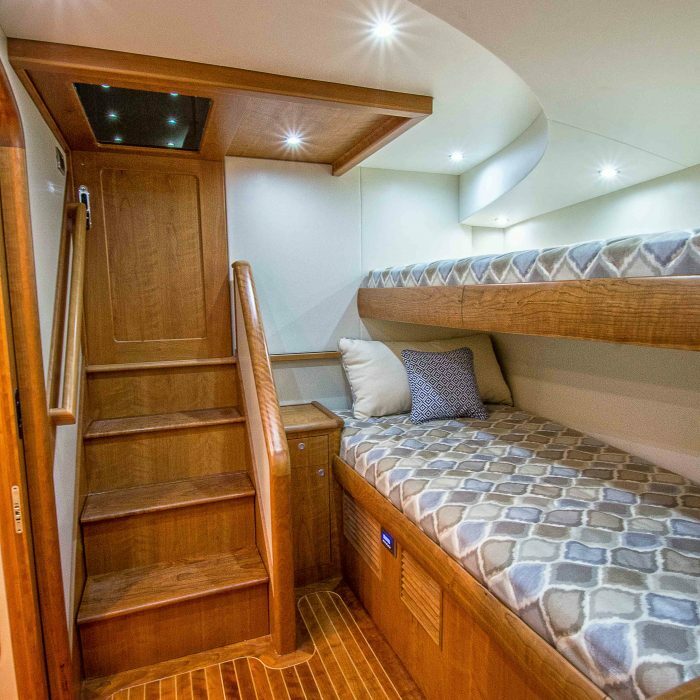 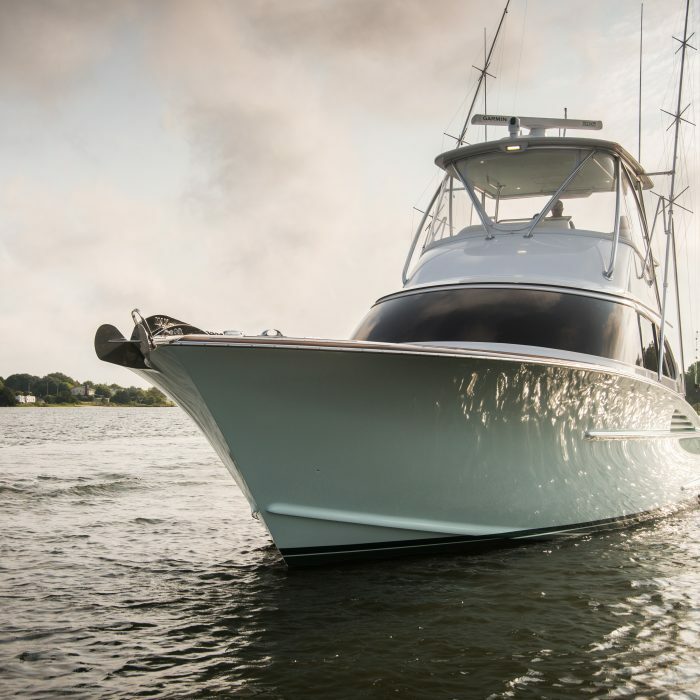 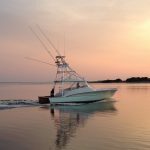 Within the 45-footer’s interior is a spacious salon, complete with a generous amount of room for several people to relax or spend time preparing for a fish fight. 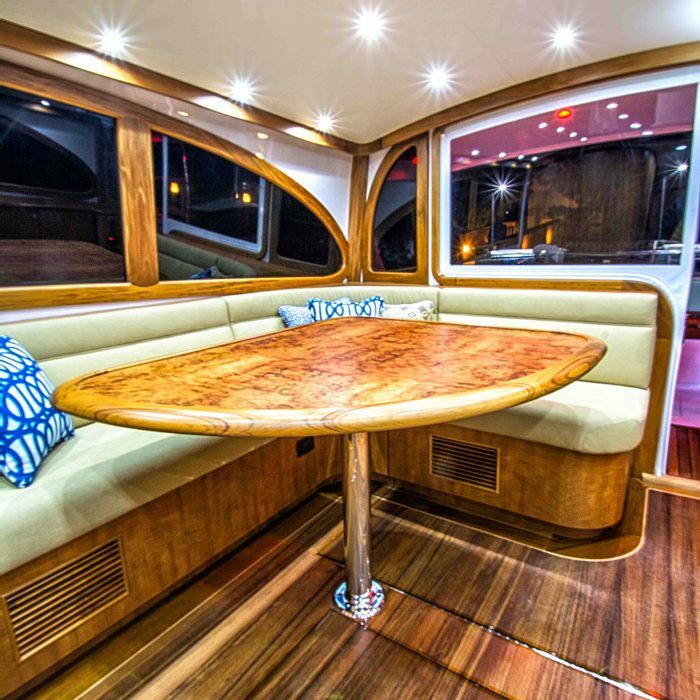 An L-shaped settee on the starboard-side wraps around a table, a flat-screen TV is tucked behind a teak panel in the seating area, and the countertop includes an ice machine as well as a pair of Sub-Zero refrigerator/freezer combos. 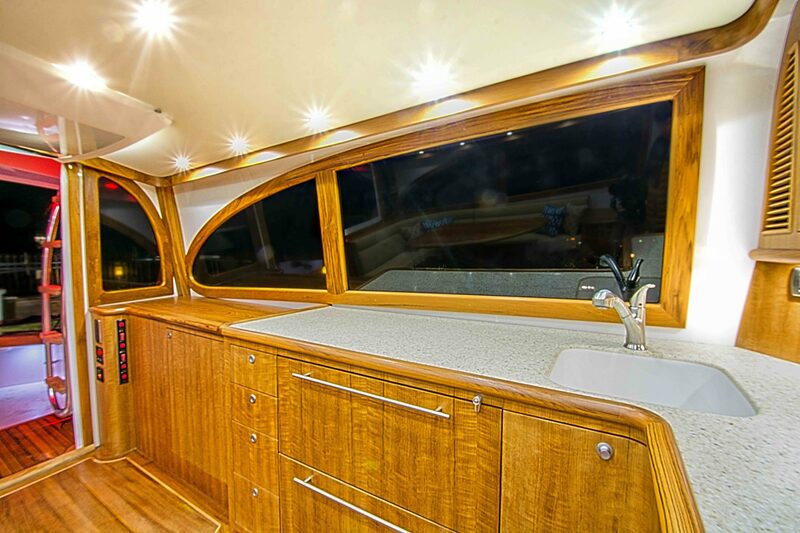 Ample cabinet space allows for plenty of food storage in the galley. 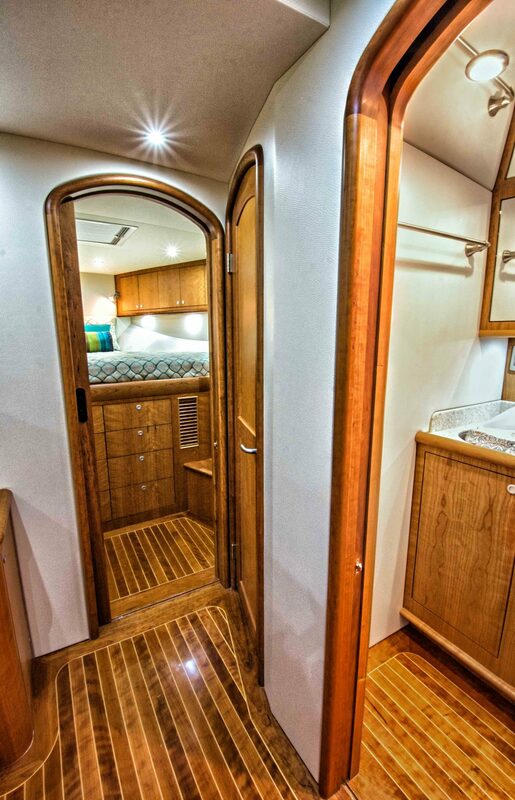 Additional tackle storage can be found throughout the salon. 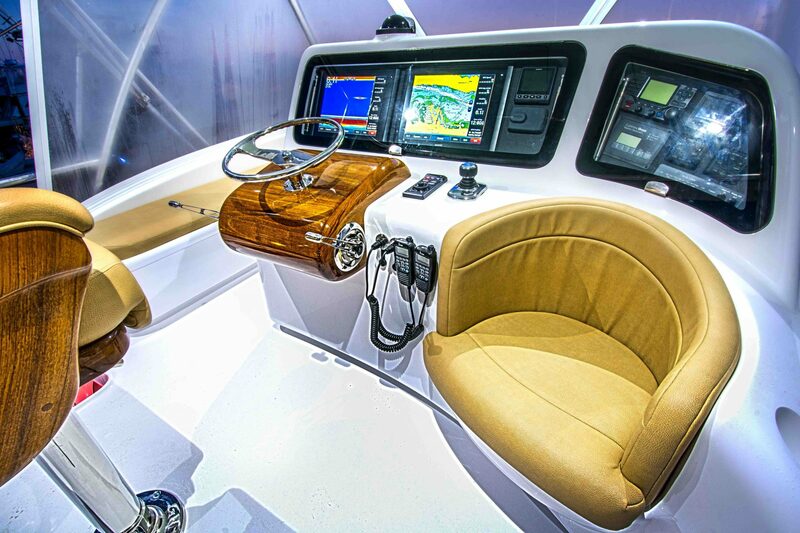 Hull W-17’s owner is an avid fly-fisherman; as such, custom racks were built into the headliner to fit numerous fly rods. 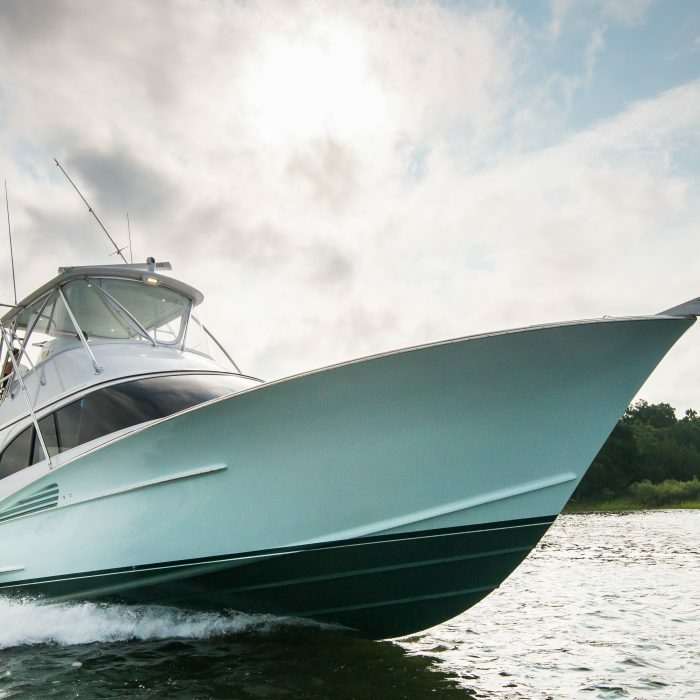 At her size, Winter’s Hull W-17 is a efficient, fast, comfortable boat with more to offer than many convertibles much larger.